She asks the boss numerous questions about projects and procedures, every single day. She spends hours at her co-workers’ stations, fishing for help with her assignments or info about office politics. She wants someone’s approval for her every action. She’s the one everybody in her workplace wants to hide from. Don’t you be her. Remember that buzzword from the job posting? 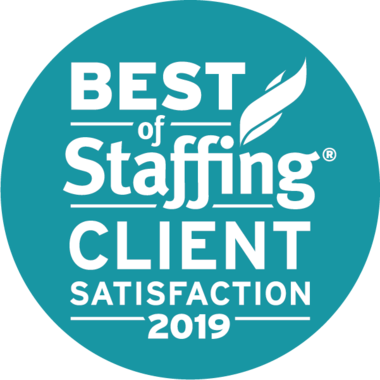 It’s a favorite with employers, and it means that you can work independently and pull your weight without taking up too much of your supervisor’s or colleagues’ time and energy. 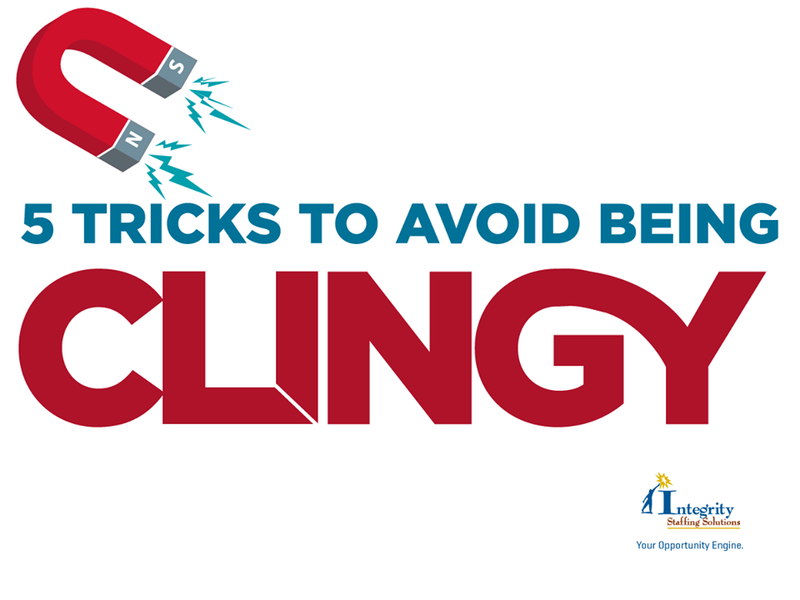 Here are 5 ways to make sure you don’t become the clingy one, from the expert career coaches at Integrity Staffing Solutions. Before you ask, see if you can answer your own question. Is this a question you’ve asked your boss already? Is it one that could be answered with common sense, or by watching what your peers are doing? You don’t want to give people (especially your manager) the idea that you’re unintelligent or forgetful. If you really are forgetful, take written notes when procedures are being explained to you. Then you can refer back to them before you ask a question to see if the answer is already there. Rather than pester your supervisor throughout the day, ask for a 10 or 15 minute meeting when you can present your list of questions. (Of course, you will have that list well thought out and ready beforehand!) Socialize with co-workers during your lunch break, not the mid-afternoon rush when they’re trying to get their own stuff done before quitting time. Don’t sit and wait to be told what to do. Employers love to see you taking the initiative to help out when your own assignment is complete. If you’ve finished the filing, go and straighten up the coffeemaker supplies. Or offer to give someone else a hand with their task (which BTW is a great learning opportunity for you). Conquer big projects one step at a time. Being told to build Rome can be overwhelming. But, as the saying goes, Rome wasn’t built in a day; it was done one building at a time. Do the same with your big, scary assignment. Break it down into modules, and focus on accomplishing one before you worry about the next. Stop being afraid to fail. Quite often, people are clingy because they’re insecure about their value to others (employers, lovers, you name it). Keep reminding yourself, you did get hired. That proves they do value what you have to offer. Nobody expects you to be perfect. It’s OK to make mistakes, as long as you learn from them. Self-starters remain self-confident even when they occasionally screw up, because they know that one trip and fall doesn’t define them … and can’t stop them. Follow these 5 tips to becoming a non-clingy self-starter, and you’ll be the one management turns to when they’re handing out the next important project or promotion.